We've put a few case studies together based on work that we have previously delivered to our broad customer base. This will give you an idea of how we use our expertise, and if you see something you're interested in be sure to get in touch. 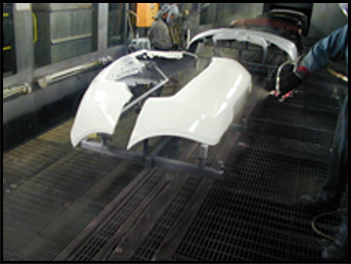 One of our customers requires a paint and cure former for their bumper paint process. HGF have developed a composite method which gives both the dimensional accuracy required by quality control and the benefits of electrostatic paint deposition to meet both environmental constraints and economy of paint usage. Monitoring of dimensional accuracy flows from initial CAD data through the CAD/CAM tooling production process followed by laser scanning of finished product prior to installation. 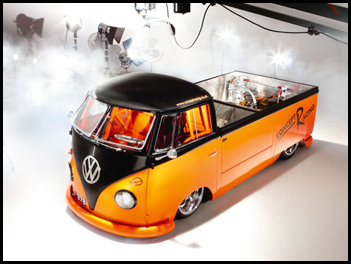 HGF worked with Concept Racing to provide bespoke carbon fibre products for a one off VW single cab. We designed and manufactured the roof and racing seat (bespoke to the driver) to a high quality finish. A surveillance camera mounted on marine tower. 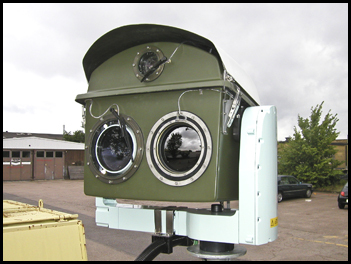 The housing was produced entirely in house, patterns moulds and the finished product ready for the camera installation, The housing requirement was for an accurate platform for high-resolution camera to operate in an extreme environment where maintenance opportunities would be rare and expensive. 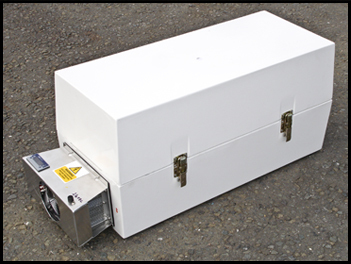 A cabinet to control internal temperature to 25° +/- 5° in very hostile conditions and with minimal access for dust, and need for near silence which precluded the use of conventional cooling methods, a custom built thermoelectric/Peltier unit allowed simple effective heat and cool method with high reliability. Built to a custom specification for military use.